EDINBURG — Entering last season’s WAC Tournament, UTRGV volleyball coach Todd Lowery made the decision to move Barbara Silva from middle blocker to outside hitter. The transition came with plenty of challenges, and Silva has had limited time to learn. She missed a large portion of the spring due to injury, and UTRGV held only a few fall practices during a busy stretch of road non-conference matches. Now at the midpoint of the WAC season, Silva is coming into her own. She had 13 kills on .407 hitting to help power UTRGV to a 25-15, 25-12, 23-25, 25-20 win against CSU Bakersfield that vaulted UTRGV into sole possession of first place in the WAC standings on Saturday at the UTRGV Fieldhouse. Silva’s .407 hitting percentage was her second-best mark of the year, and 13 kills matches her third-best performance. Her only higher kill outputs have come in the past 10 days — the sophomore had 19 kills against Utah Valley on Oct. 5 and a career-high 20 in a win against Grand Canyon on Thursday. Lowery estimates that Silva has only been practicing her position for about six weeks. Silva sat out most of the team’s spring training sessions due to a bruised heel, which she said was the result of a bad landing after an attack. Even now, Silva said she gets easily frustrated in practice, for example if she’s trying to hit to the line and can’t find the proper angle. In those cases, she leans on her teammates for support, just like she did when she was working to make up time lost to the injury. Saturday’s win lifts UTRGV to 12-8 overall and 6-1 in WAC play, marking the first time in program history that the team has been alone at the top of the conference standings. Bakersfield entered the day tied with UTRGV before falling to 12-10 and 5-2 in WAC matches. Mitrovic led the team with 14 kills. UTRGV set a new season high with 10 aces, including eight during a dominant first two sets, and Lowery said aggressive serving was a focus against a Bakersfield offense that likes to work through the middle. 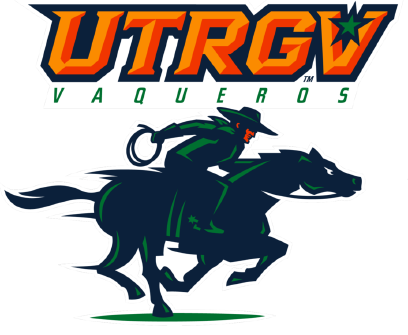 The win was also UTRGV’s eighth in a row at home, where next month the team will have the opportunity to defend its WAC Tournament championship. Last season’s group finished 21-14 overall to mark the first winning season since 2003, and UTRGV’s 7-7 WAC record was the first time in program history the team won at least half of its conference matches. For Mitrovic, taking sole possession of first place on Saturday was another reminder of how far the program has come in the third year for both her and Lowery.